Your child’s school is supposed to be the place where he gets knowledge that will enable him to sustain himself in future. However, if you are like most parents, you are bound to have jitters when you send your child to school for the very first time. This is because you don’t know how your child will carry himself when you are not around. You also worry about the likelihood of him being harassed by the bullies. Then there is the issue of adults that prey on kids. When such thoughts torment your brain, you can rarely have peace of mind. In the end, you become less productive at your workplace due to the fact that you think about the safety of your little angel all the time. 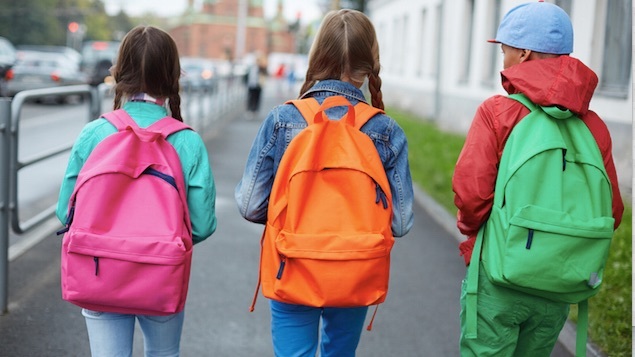 The good thing is that there are strategies that you can use to make sure your kid remains safe both when he is in school and when traveling back home. Below is a list of tips that can help you get started. If your child is old enough to be able to use a mobile phone, you should take advantage of the device by using it to monitor his movements and communication. You only need to install one of the apps that are provided by the Tool Report into the device. The advantage of using such a spy app is that its icon can be hidden to make sure the child doesn’t know you are monitoring his behavior. The other advantage is that you don’t have to install anything on your device. You can keep an eye on the phone of your child by logging into your account using the website of the app and check what he has been doing. When an app is in place, it can alert you when the child goes to an area that’s not safe when going home from school and when getting to school. Besides that, you can access all the text messages and calls that come through your kid’s phone. The app also enables you to analyze the websites that your child may have visited just to confirm that they aren’t accessing content that’s not recommended for children. Some parents and guardians avoid discussing the issue of bullying with their kids. As a matter of fact, it’s very important you make your child aware of what bullying is all about so he can be prepared in advance. However, you should not encourage him to engage in physical fights because he might get hurt during such confrontations. In fact, you should discuss with him everyday about the experiences that he had while in school. You should also discourage your child from talking with strangers while on his way to school. Moreover, you comb through the school’s policy on bullying and tell your child to report all incidents of harassment to the teachers. Whether your child travels by bus, personal car or on a bicycle, it’s advisable you identify a route that’s safe for him. An ideal route should be the one that doesn’t have heavy traffic to limit the chances of him being involved in an accident. However, the route you select must not be isolated because you want your child to be able to get help right away in case he has a problem. You should also discourage your child from wearing earphones while on his way to school so that he can monitor and listen to what is happening in his environment.